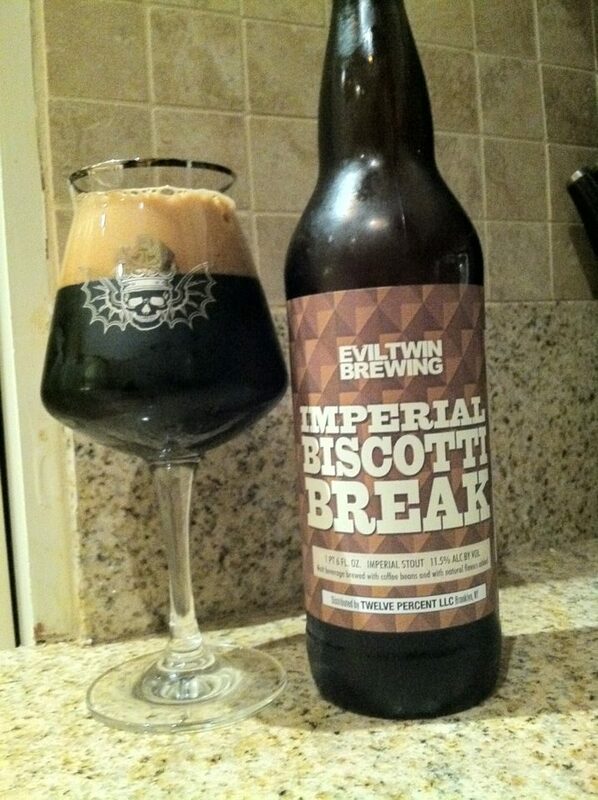 Evil Twin Brewing, Imperial Biscotti Break, It’s a Coffee Drink for Hipsters that Weight More than 135 lbs. Man, if I were a hophead in my degenerate beer development, I would be pissed off at this site. What with Wale Week- NO IPAS, then two stouts, it’s like, man what’s a guy gotta do to get his hop cones blasted? Well suffer through, today’s gem is a decadent coffee treat from Evil Twin, not YOUR evil twin, he doesn’t brew beer, he is just barred from coming within 1000 feet of schools and parks. Phase one: take your eharmony girlfriend out for coffee, phase two: present this libation, phase three: Babylon 5 Marathon. Let her explain that to her pretentious friends. A: The appearance takes the coffee note to new levels of Seattle hysteria, deep frothy mocha whip no shot side of upside down malt caramel, is the most concise description of the pour. The darkness is deep and complex like Alan Thicke’s character on Growing Pains. The lacing is whimsical and adorns the glass with streamers for the coffee baby shower. This beer is dark, but adorable, complex, but dangerous. Best enjoyed young. S: There’s a deep coffee note with a sweetness on the backend that, as the eponymous beer notes, is like deconstructed biscotti. For those of you who in the south who do not have biscotti, it is a stale bread that pretentious people dunk into overpriced coffee. Think Dunkin Donuts, and then the converse. There’s a sweet vanilla, sticky almond meets hazelnut, acidic coffee with a mocha finish that imparts a sort of cocoa dryness. I am a bit wary on the sweet notes but, hey, I once ate an entire Sbarro pizza and fell asleep on some Macy’s beds, so moderation is hardly my strong suit. T: There is a fantastic interplay between the coffee and the rise to power of the almond armada. The warring factions represent different fealty to the overriding crown of the Church of Stout. Surprisingly, this war of attrition results in savage interbreeding between coffee and vanilla, the nutty aspects couple nicely with the acidic finish from the coffee, and the sweet chocolate and baker’s chocolate nod approvingly at the new feudal stout empire. Coffee and high alcohol content? This may take me to places that I am not ready for. M: The mouthfeel coats aggressively and toes the line that Huna and Abyss so admonishingly drew into the sand. I would say medicinal in its sheeting, however, this would be medicine for someone like the person who works the Customer Service desk at Walmart: not quite legitimate medicine. The sweetness eventually overpowers as this thing warms and, while watching the Bachelorette, the sweetness was overriding and unpalatable, also the beer became undrinkable BA ZING! D: As long as you keep this below 55 degrees, it washes away nicely and imparts huge flavor, however, once the Torani syrup demons are awakened from their century long slumber, this biscotti turns into Bicotivrex, vile libation destroyer and sorrow harvester of palates from the netherrealm. So, serve…serve it cold is basically…that’s what I am trying to say. 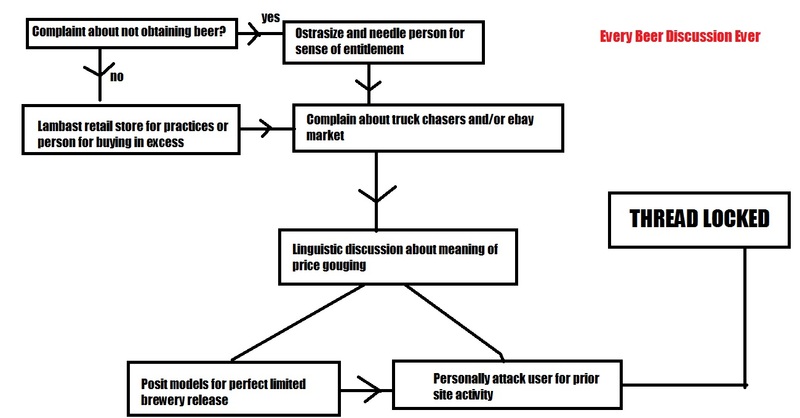 If someone can’t find a beer, here’s usually how the discussion goes. I was lucky to have someone in Washington who cares about me help me out. CARING, pass it on. Narrative: Maxwell House stock had been in a freefall ever since meth hit the market. It wasn’t that people didn’t want Maxwell House, they didn’t, and never really did. The problem was that the poorest of the poor, riddled with vice and an abysmal view of the future, now simply smoked crank to wake up for their degrading jobs. “How can we recover from this newest batch, Jennings?” Wilfred Maxwell IV asked the boardroom as he stared out over the Tarrytown, New York skyline. “Well, the Samoan spiker vanilla blend has been covering the spread in-” “NO JENNINGS, the newest batch of meth. Maxwell House can’t take another potency renovation, people know that we have never been good to the last drop, must less the first, they just want to get high-” he surveyed the hopeful faces surrounding the rich mahogany table, sipping bourbon, enjoying biscotti at their leisure in Brooks Brothers suits. “THEY JUST WANT TO GET HIGH!” Mr. Maxwell IV exclaimed. Jennings rocked back in his supple calfskin leather chair and nodded knowingly. The chemists began cooking down the horrible beans into synthetic caffeine crystals. The dank sticky shards broke like brown stained glass after the first batch was completed. Guillermo, the local day porter of the facility, was asked to try the new product. Ironically, Guillermo was already on meth to face his horrible employment prospects. The coffee glass burned deep and hard like almond and vanilla shards, but it could be worse, he could have been a P’zolo tester.